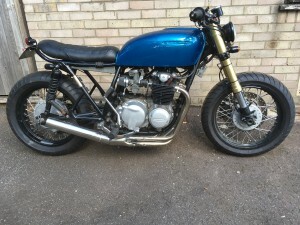 Mark’s CB is a very neat little custom bike: special wheels to take modern tyre sizes, one-off seat with OE quality mountings, upside down forks with yokes, and a metallic blue tank. 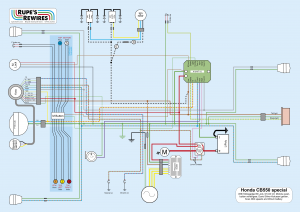 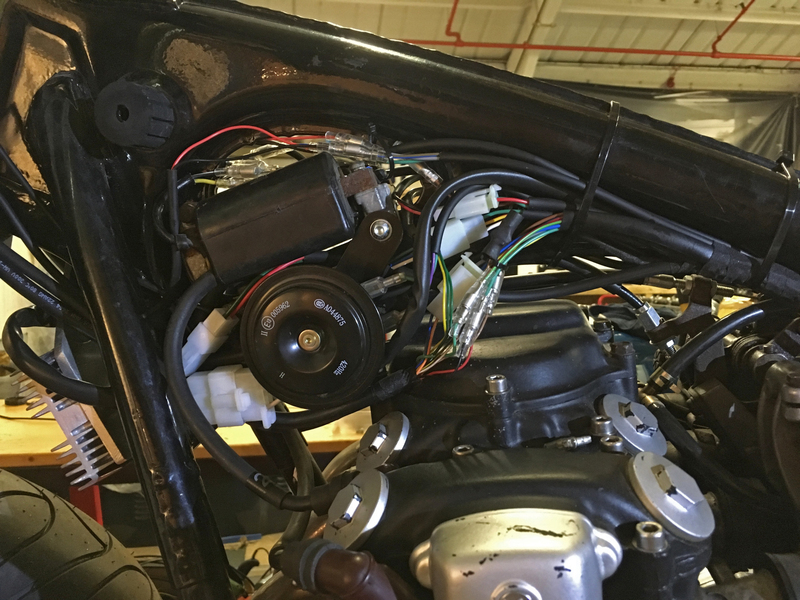 Switchgear is Motone push-putton, with a Koso speedo, Kokusan electronic ignition and through-the-bars wiring done by Mark. 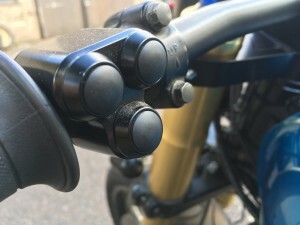 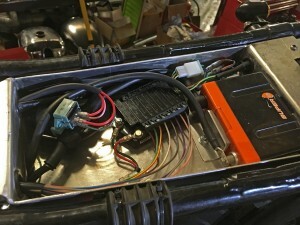 He had also made a shallow tray under the seat to house the M Unit V2 (the simpler of the two Motogadget systems), as well as the solenoid, and a slim lithium battery. 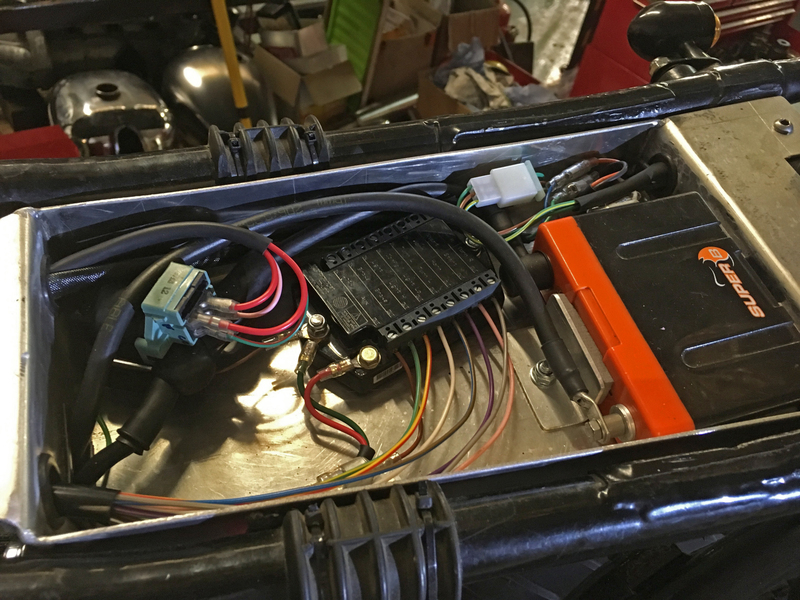 Mark’s original plan was to hide the regulator rectifer in the tray as well, but when we saw the size of the new ElectrexWorld unit the bike needed we realised it had to go elsewhere. We decided to make it into a styling highlight under the headstock. I couldn’t think of anywhere else to put it anyway! 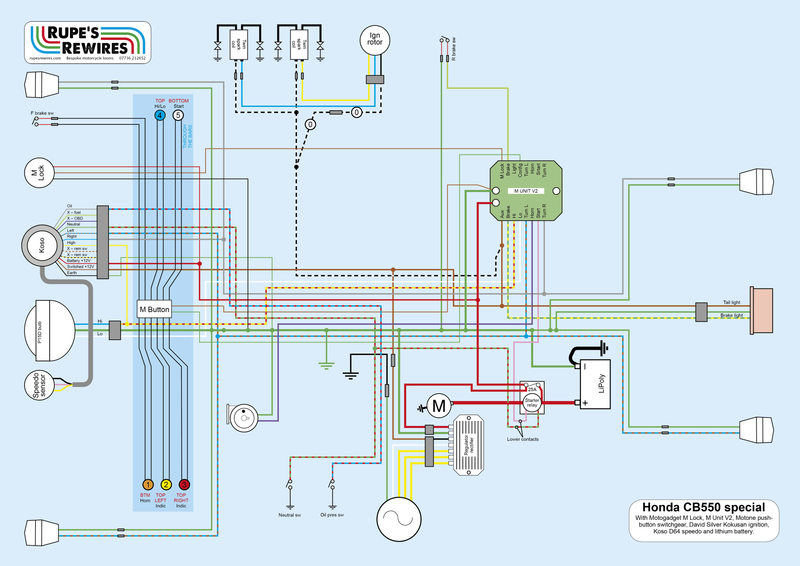 The bike had been running OK but the wiring it came with was hacked about in places, and problems had started to crop up. Mark’s brief was to make the bike electrically reliable, and of course to keep the cables as neat and hidden as possible. 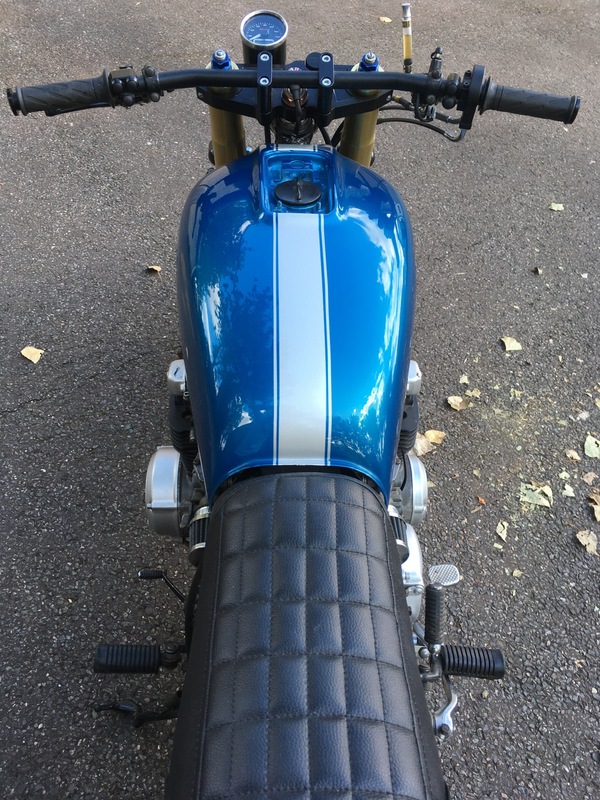 It turned out that pretty much everything bar the reg rec could be hidden under the tank or seat, so Mark and I were pleased with the result.